The warmth of copper adds lustrous sheen to the timeless silhouette of this flatware. 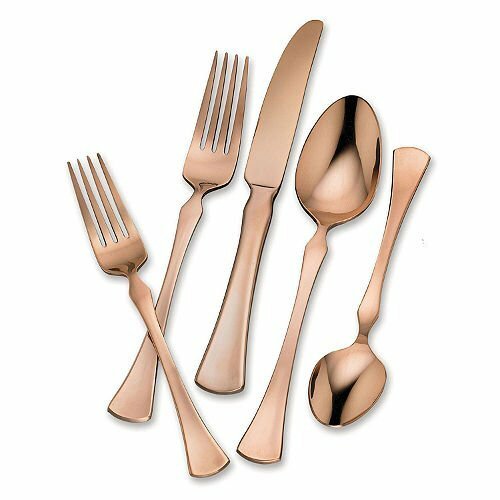 With a copper-titanium coating polished to a brilliant mirror finish, the Refined Copper Flatware Set brings modern luxury to the table. The set includes flatware place settings for four. 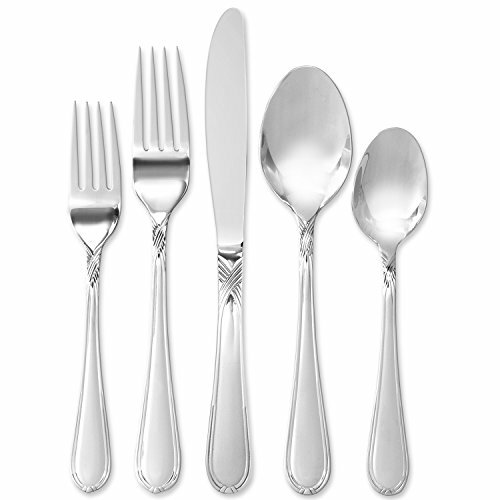 Flatware with a flourish, the Palace Flatware Set demonstrates the ultimate in elegance and sophistication. A satin gunmetal titanium finish provides a modern twist to classic scalloped handles in signature European style. This set includes flatware place settings for four. 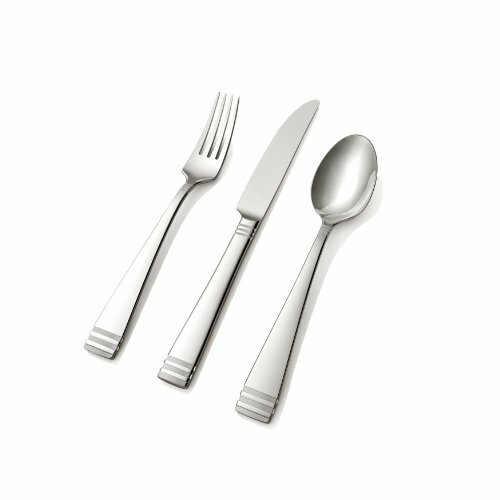 Hampton Forge Clark 20-piece flatware set. 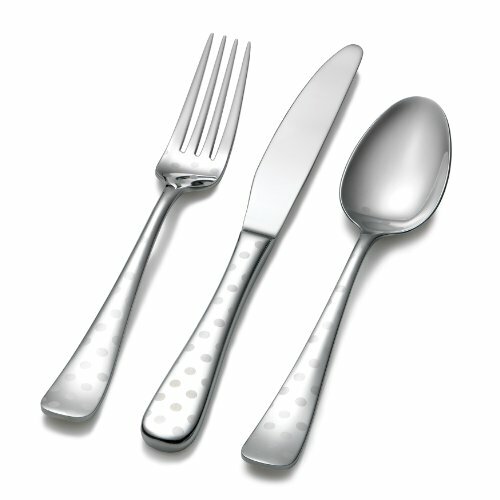 This "high styled flatware" set has a causal, friendly design which celebrates nature. With its modern design aesthetic, the flatware emulates the clean look of eco-inspiration. Hampton Forge 4-piece Kobe Steak Set is ergonomically designed with full contour stainless steel handles and superior sharp hand honed blades. 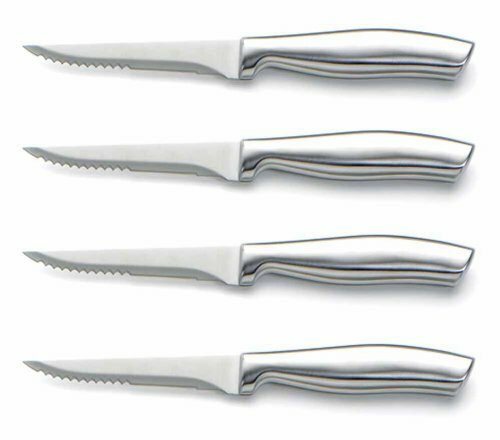 This set contains 4 by 4-1/2-inch Steak Knives. Hand washing recommended. Literally meaning "friend", Tomodachi represents a lively, helpful presence in the kitchen. Splashes of color, useful features and lasing quality make Tomodachi welcome friends inside kitchens everywhere. Like a good friend, Tomodachi makes life easier and playfully adds some fun. Accessible and affordable without compromising the promise of quality. This Tomodachi knife series features bright colors and Titanium-plated blades. 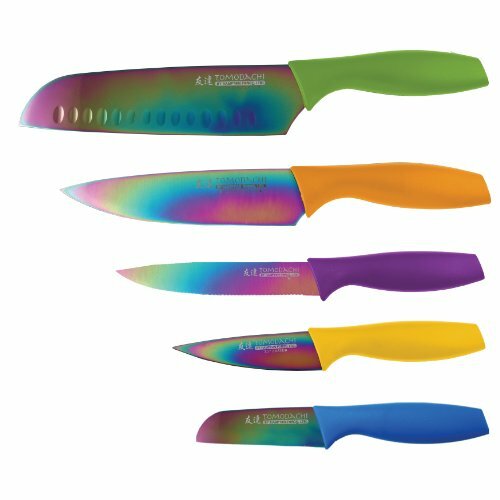 Set includes 7-Inch santoku with green handle and blade guard, 6-Inch all purpose knife with orange handle and blade guard, 5-Inch serrated utility knife with purple handle and blade guard, 3.5-Inch parer with yellow handle and blade guard, 3-Inch santoku with blue handle and blade guard. Elegance and quality marks the Signature collection by Hampton Forge. 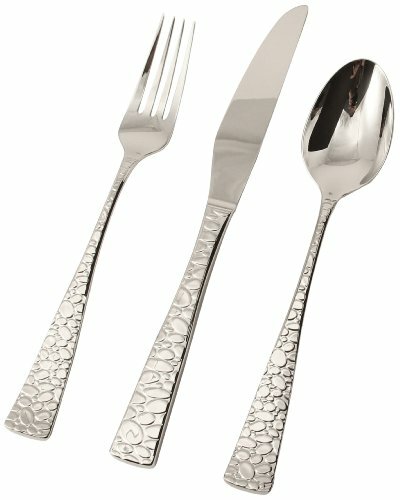 The Signature Collection offers a selection of flatware and cutlery designed to perform and offers exceptional quality at an affordable price. Bring a touch of elegance to your everyday. Made of stainless steel this 20 piece set is dishwasher safe and has a 25-year warranty. 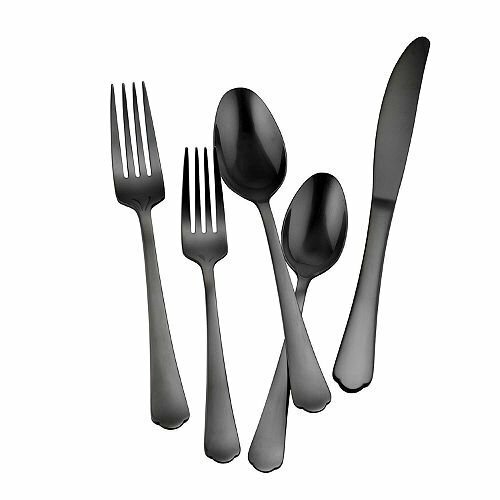 Set includes 4 dinner forks, 4 dinner knives, 4 dinner spoons, 4 salad forks and 4 teaspoons. With sculptural pieces that celebrate the simple forms of nature, Skandia offers a casual, light hearted style. Its shapes are modern with a whimsical, organic touch. 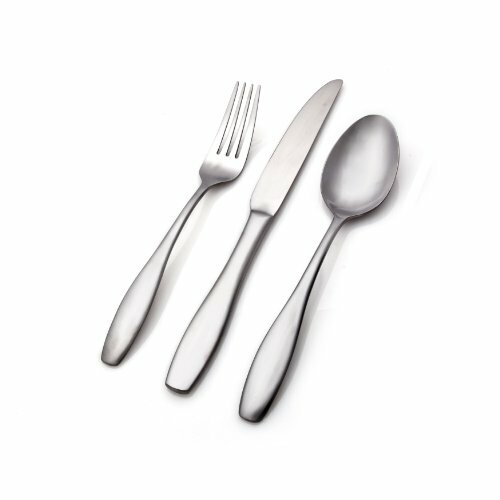 Comfortable in casual settings, Skandia flatware graces both kitchen tables and dining rooms alike with friendly shapes. Bring the beauty of nature inside. Polished yet playful, Dots features a classic shape modestly embellished with laser-etched dots. At home in both casual and formal settings that desire a twist. Made of 18/10 stainless steel this 45 piece set is dishwasher safe and has a 25-year warranty. Set includes 8 dinner forks, 8 dinner knives, 8 dinner spoons, 8 salad forks and 8 teaspoons and 1 solid serving spoon, 1 slotted serving spoon, 1 cold meat server, 1 sugar shell and 1 butter spreader. Styled for todays' living, Hampton Silversmiths represents the best of old and new. We know what makes a flatware pattern endure and feel relevant. Hampton Silversmiths patterns and design are always in style, always affordable, always right. From casual kitchen counter to dining room special, you will appreciate Hampton's easy, accessible, good quality selection. Mercer's clean, linear form will add a dignified grace to any table. Frosted handles are accented with sculpted rings. 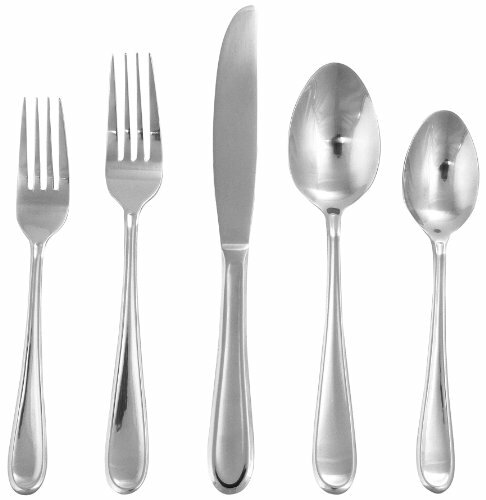 Made of 18/0 stainless steel this 45 piece set is dishwasher safe and has a 25-year warranty. Set includes 8 dinner forks, 8 dinner knives, 8 dinner spoons, 8 salad forks and 8 teaspoons and 1 solid serving spoon, 1 slotted serving spoon, 1 cold meat server, 1 sugar shell and 1 butter spreader. Copyright © Wholesalion.com 2019 - The Best Prices On Hampton Stainless Steel Online.